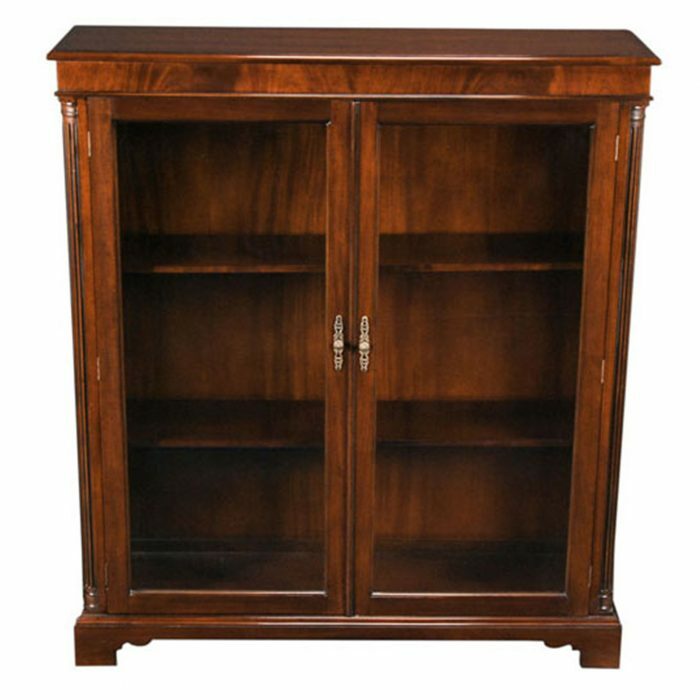 Our version of a breakfront bookcase, this is the Niagara Furniture Four Door Bookcase. The shape of the piece with the center section protruding past the side sections gives it a depth and character not found in most antique reproductions. 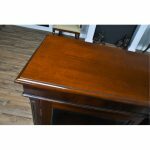 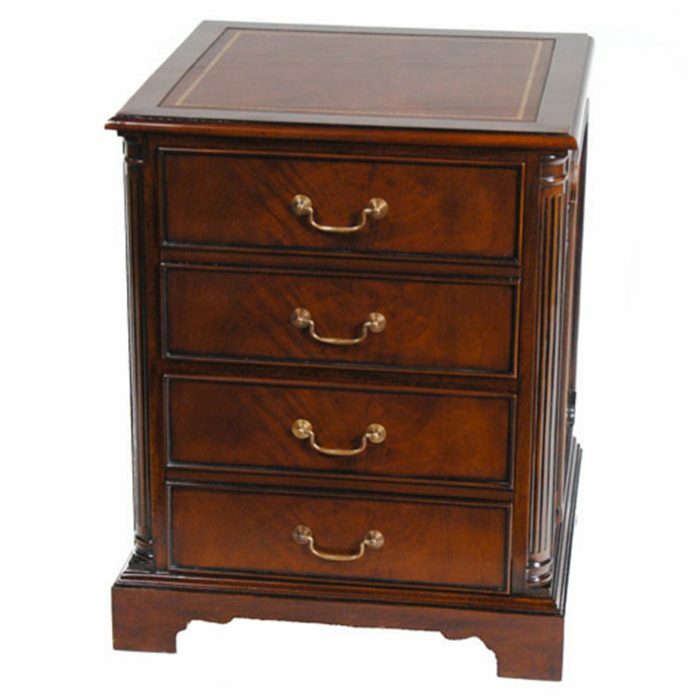 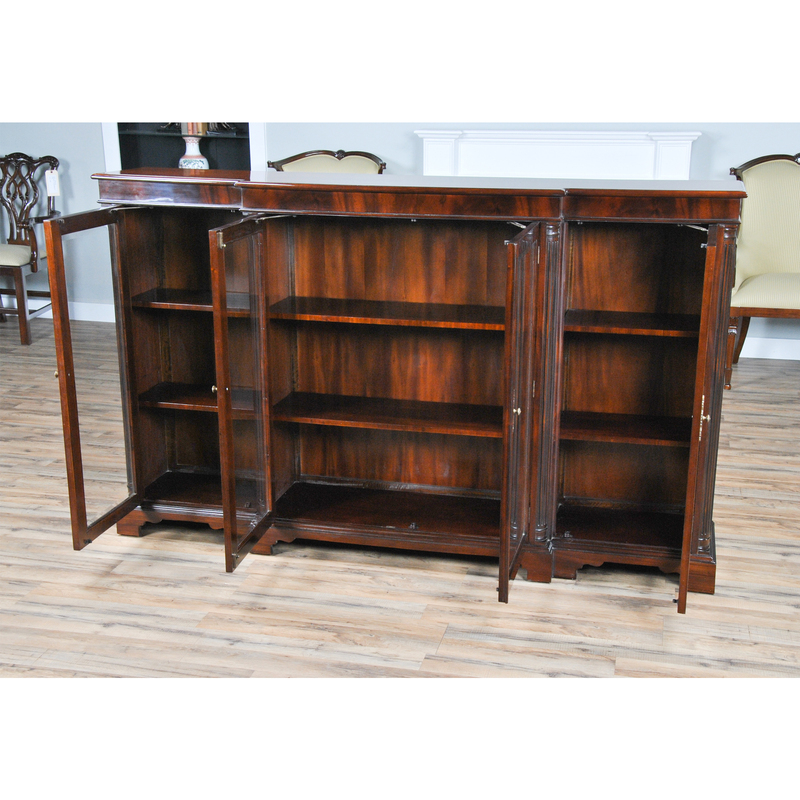 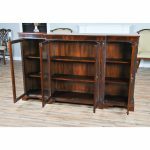 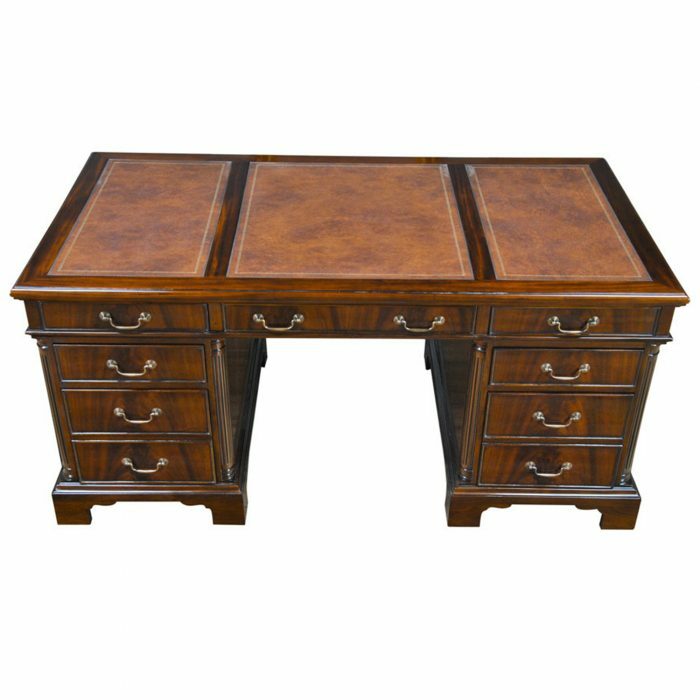 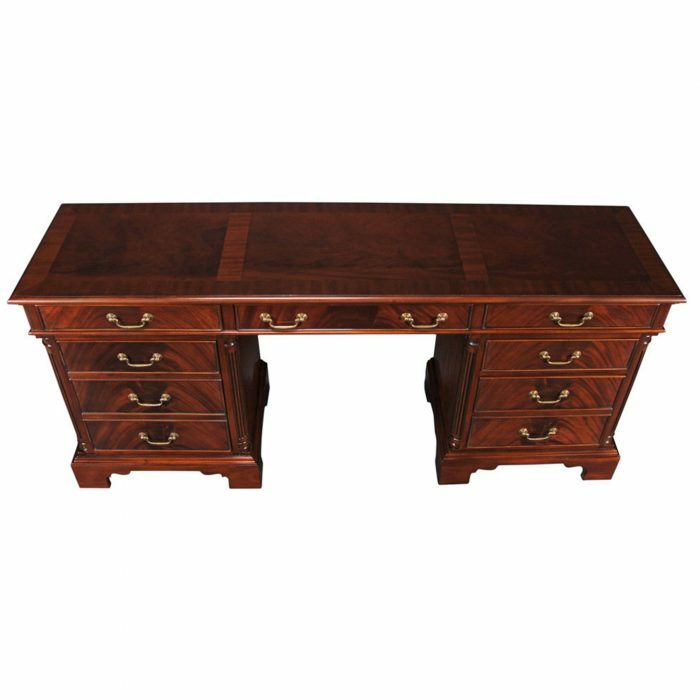 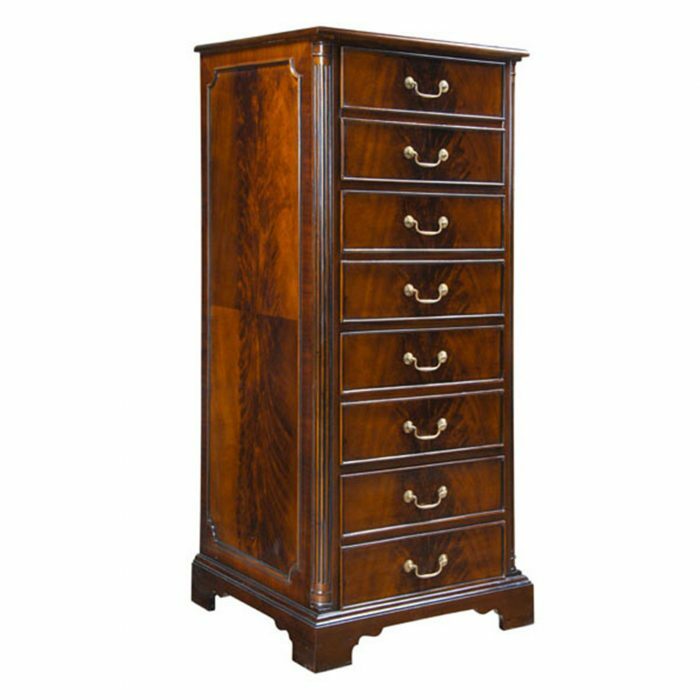 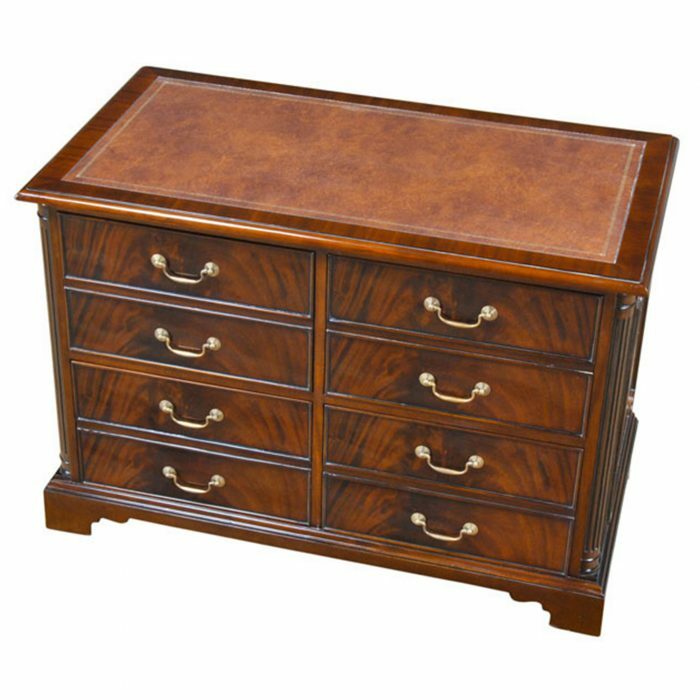 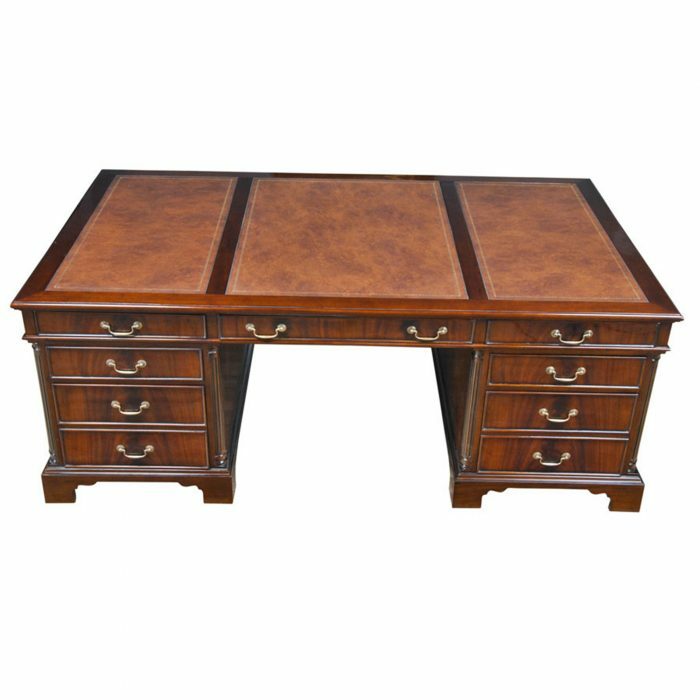 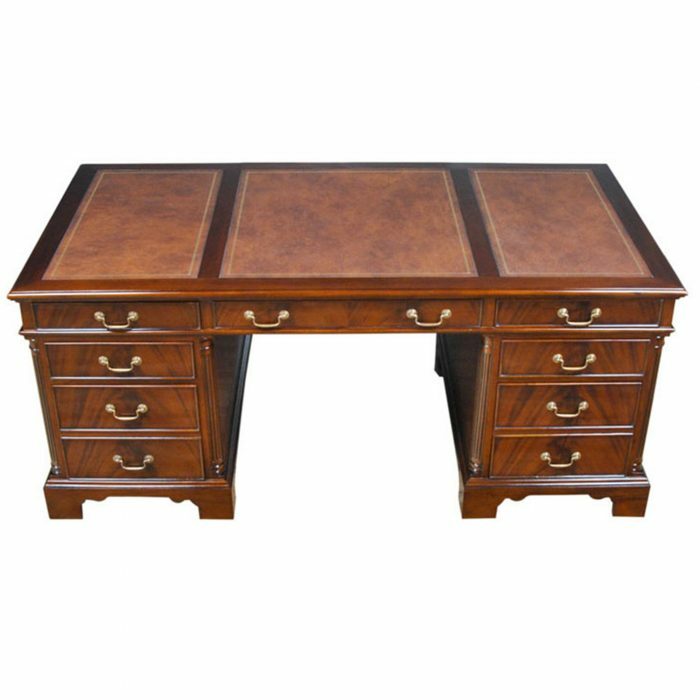 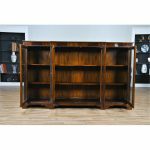 With great quality construction a piece of furniture on this scale can be used to display all of your most valued collectables. 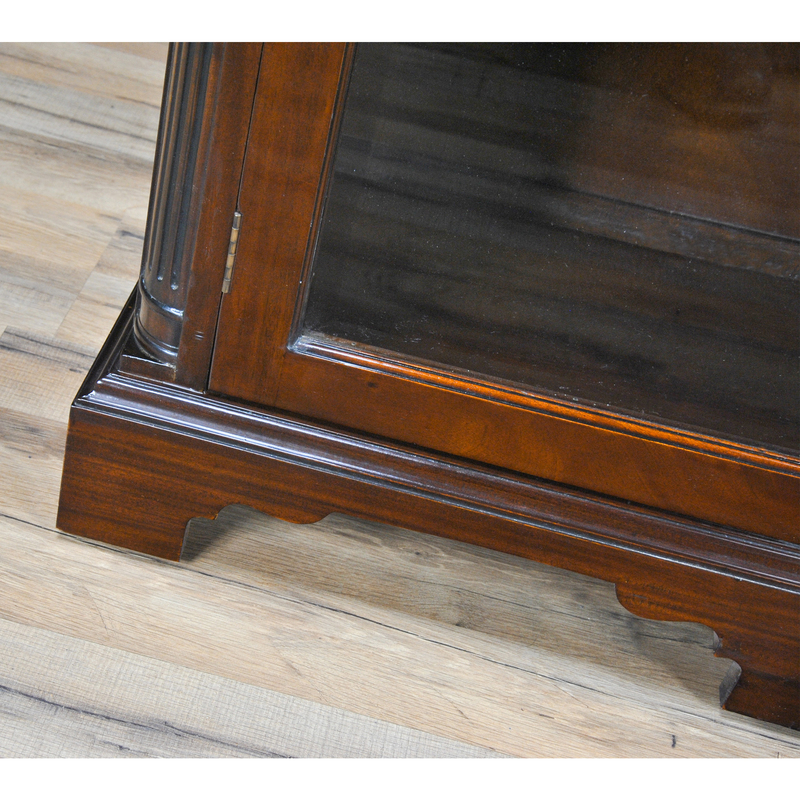 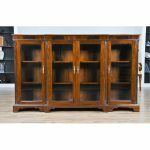 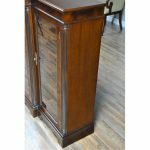 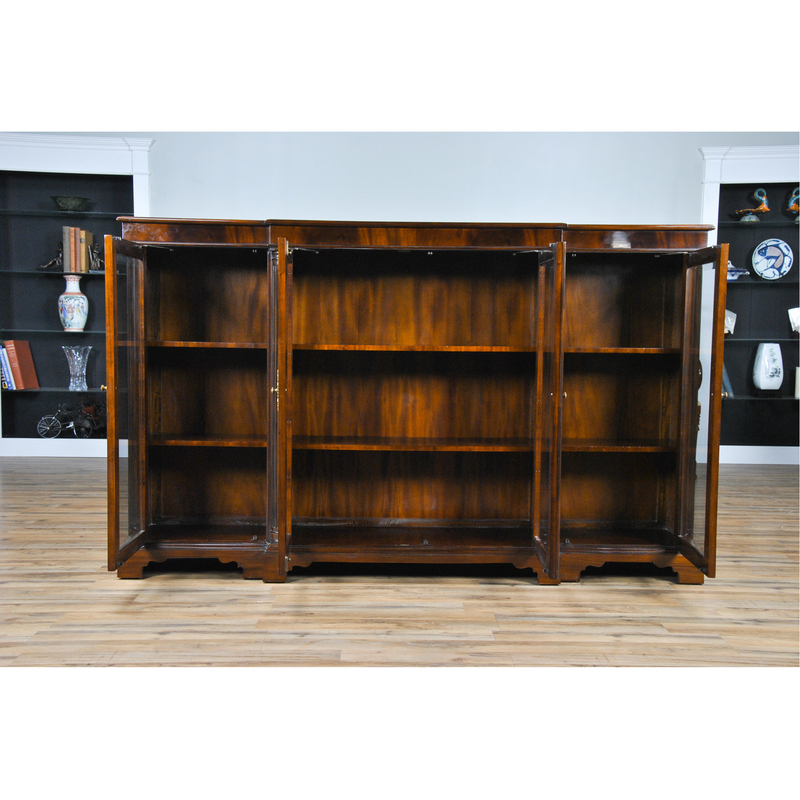 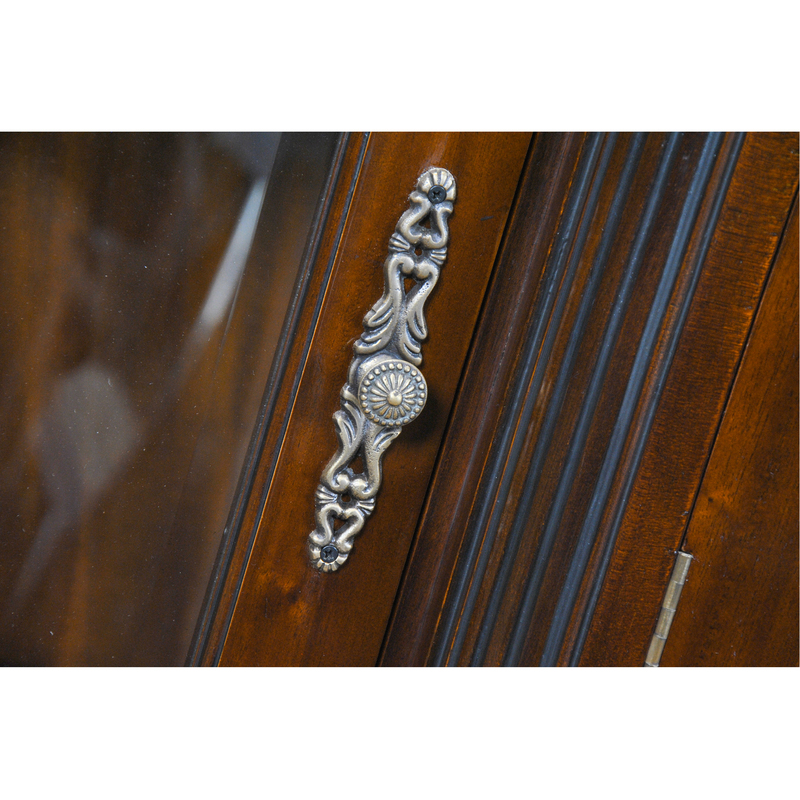 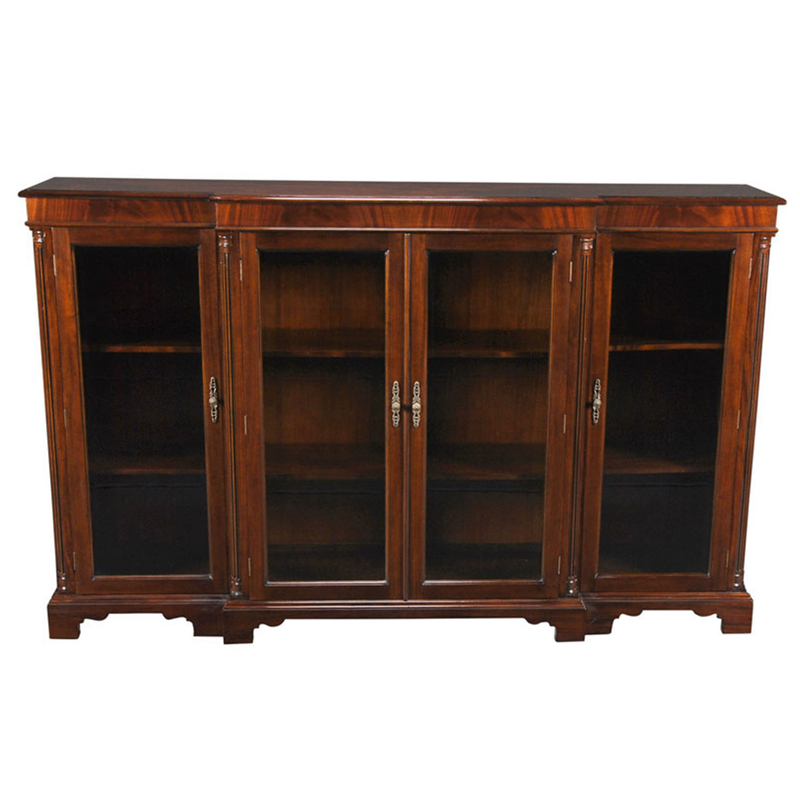 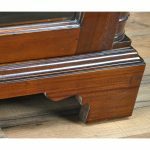 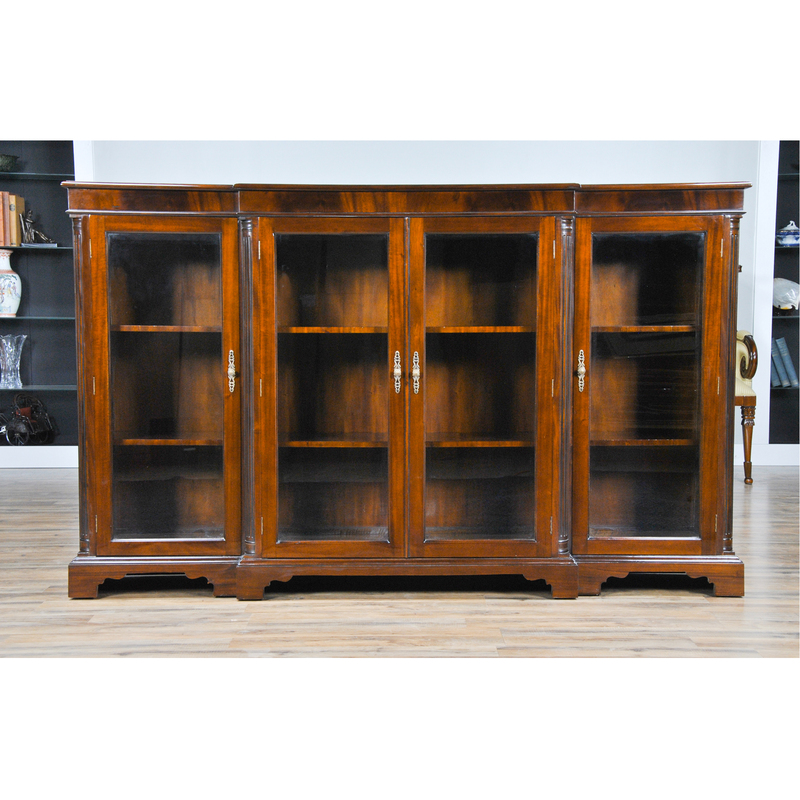 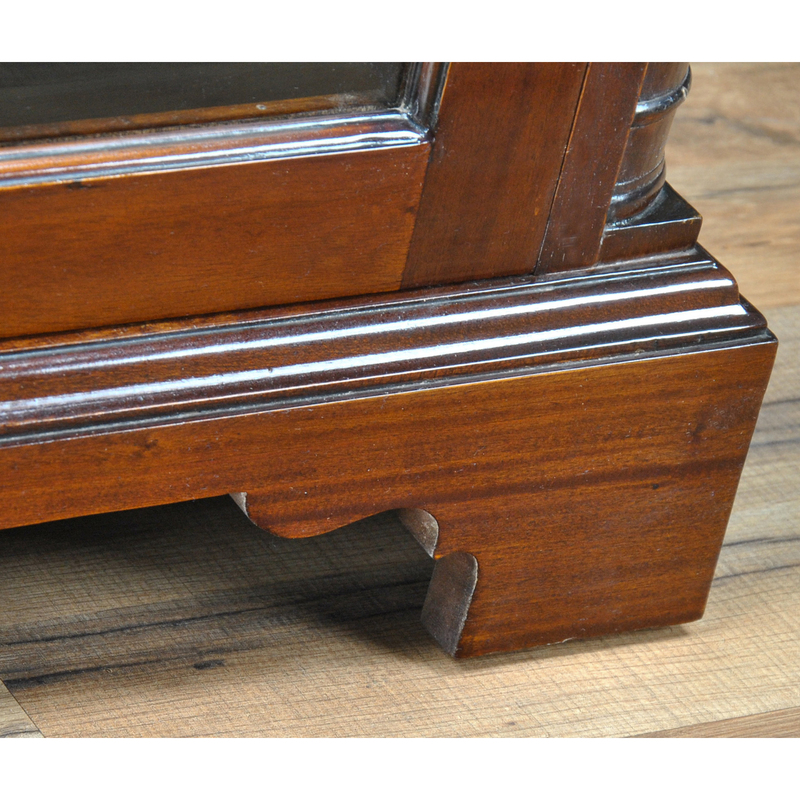 The Four Door Bookcase features hand carved solid mahogany, reeded corner columns as well as bevelled glass in the doors. 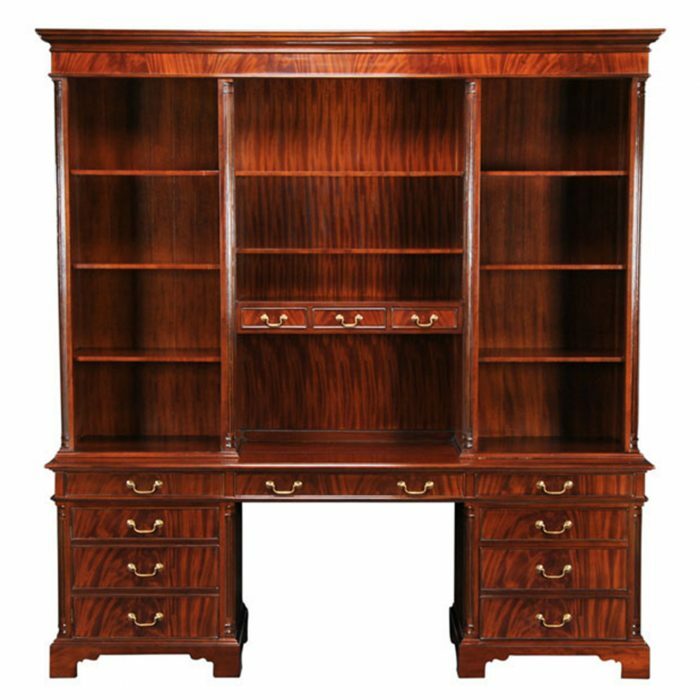 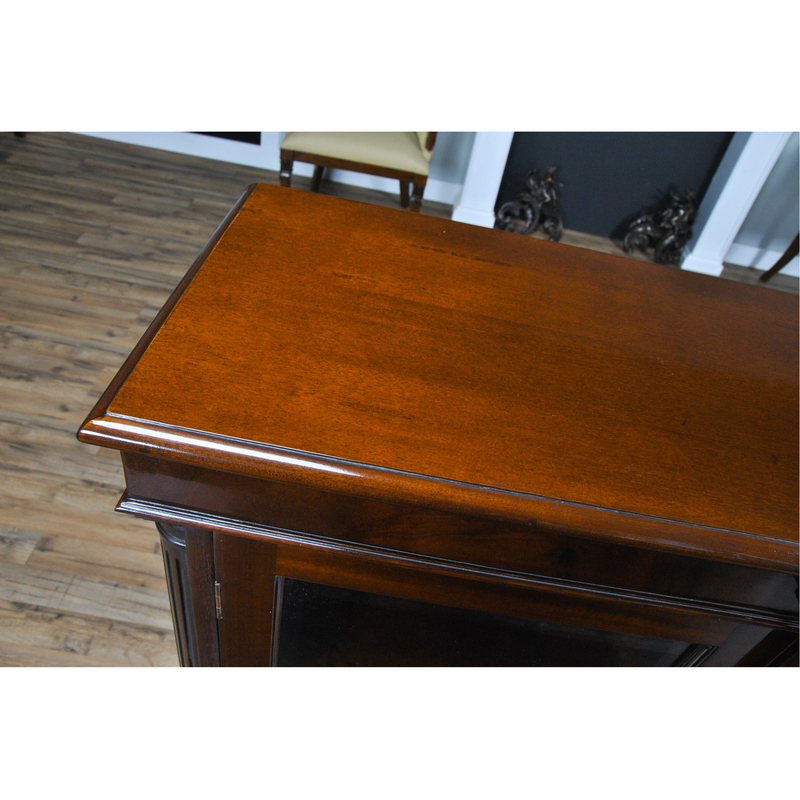 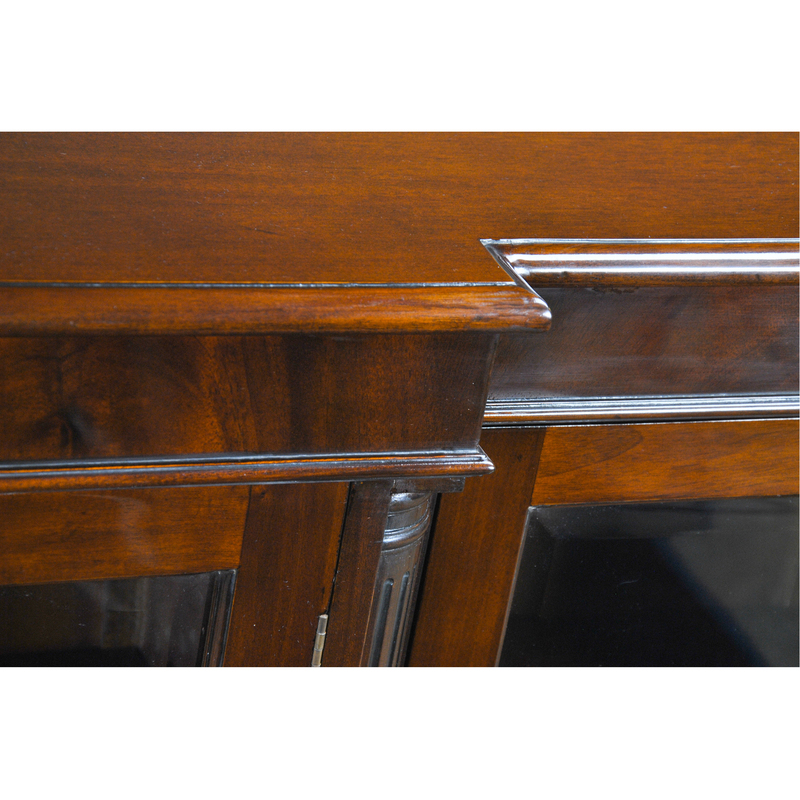 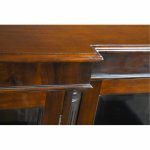 All of this combined with the application of figural veneers along the top cornice, and with shaped bracket feet give this bookcase a look that matches many of the other pieces in the Niagara furniture office collection.